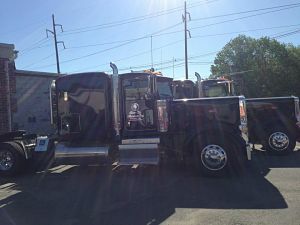 Here at Silver City Aluminum we have our very own fleet of trucks. We deliver all across the country. By being able to control our own delivery schedules and routes, we can ensure on time delivery. This also allows us to be able to control the extrusion process from start to finish all the way to delivery of your order. 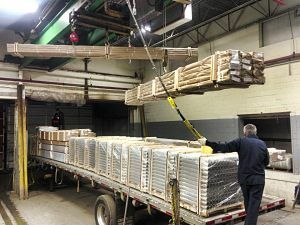 Some customers prefer to use their own LTL carriers, or use their own personal trucks as well for delivery, and/or pick-up of their finished product. We have several docks inside and outside in order to accommodate any shipping request. For all LTL shipments we can make a custom crate for your order (an almost bombproof box), which we minimalize any potential damage that could be incurred when shipping via LTL on someone else’s truck. We offer a range of different packaging methods that best suits any customer’s needs. For more critical jobs, we can Paper Interleave on each part, in which we individually for a small extra charge. This will help prevent any scratching on extremely aesthetic parts. We also offer bubble wrapping, packing in custom made aluminum skids, or packaging your finished product in a custom made box, as mentioned above in the LTL section. We are even open to some special requests. Call for more information.